The sun brightens the earth every day, yet have you ever wondered just how heavy it is? Have you worried over the close approach of Mars and what it might mean for Earth? And do you think it possible that someday all the questions of science will be answered? With genius and insight, Dr. Isaac Asimov answers these and other questions with intriguing facts and fascinating theories that promise to amaze and delight. Few authors can write about compelling topics with such genius as Isaac Asimov, and in this collection of essays he tackles subjects that are forever timely. He reveals the beauty and mystery of a quasar as well as the complexity and danger of nuclear fusion. And he examines the corruptive power of money on future civilizations as well as the hazardous effects of drugs and alcohol on our society today. 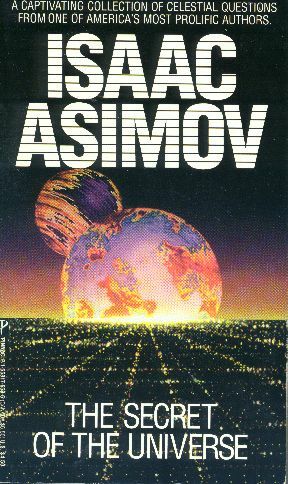 Questions of science, questions of life—with wit and charm Asimov enthralls and enlightens us with this entertaining look at the world in which we live. This is a very sad book—the last of the F&SF essay collections—well, the last to date, anyway, and the last that Asimov himself had a hand in preparing. It is an outstanding collection in its own right, however. The title essay, for example, is itself rather melancholic and adds to the sadness with which this book is read, dealing as it does with the unexpected death of one of Asimov’s friends. And, alumnus as I am of the University of Utah, I cannot but read “Hot, Cold, and Con Fusion” with a twinge of regret at how my alma mater fared in the whole cold fusion fiasco. The remainder are as good as anything else in the series. Perhaps they are not as dear to my heart as some of his earlier essays, which I’ve lovingly read and reread for decades—but they are still more than worth reading.